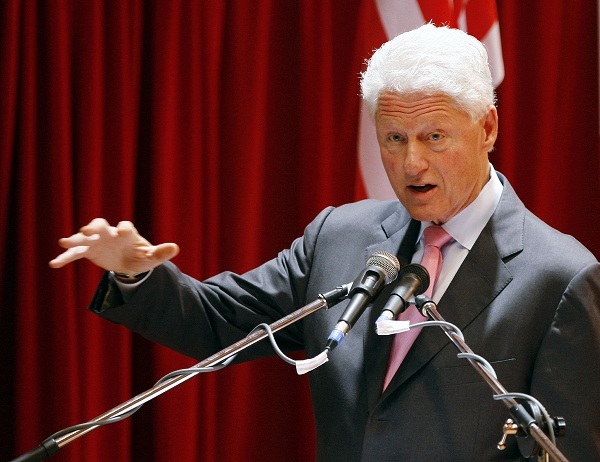 Bill Clinton’s speech can be tweeted after all… ah… DUH! by Danielle Ricks.In Social Media, Tech News, Texting. Did former President Bill Clinton really ban Tweeting, live-blogging, and posting on Facebook during a keynote address for a business and technology conference? Well, if he did, he’s not fessing up to it now! Ah, the power of social media! Did former President Bill Clinton really ban tweeting, live-blogging and posting on Facebook during a keynote address for a business and technology conference? No. But it definitely appeared that way over the past 24 hours. The blog <a href="http://us.rd.yahoo.com/dailynews/yblog_thecutline/tc_yblog_thecutline/storytext/bill-clintons-speech-can-be-tweeted-after-all/38604070/SIG=1614tfqkq/*http://www.readwriteweb.com/cloud/2010/11/no-tweeting-or-posting-to-face.php?…:+readwriteweb+%28ReadWriteWeb%29%22%3EReadWriteWeb%3C/a%3E” rel=”nofollow”>ReadWriteWeb reported Wednesday night on the “no Twitter” prohibition for Clinton’s upcoming address at <a href="http://us.rd.yahoo.com/dailynews/yblog_thecutline/tc_yblog_thecutline/storytext/bill-clintons-speech-can-be-tweeted-after-all/38604070/SIG=11hodgmej/*http://www.salesforce.com/dreamforce/DF10/home/” rel=”nofollow”>Dreamforce, a San Francisco event put on by Salesforce.com. The Los Angeles Times, and other outlets, <a href="http://us.rd.yahoo.com/dailynews/yblog_thecutline/tc_yblog_thecutline/storytext/bill-clintons-speech-can-be-tweeted-after-all/38604070/SIG=1473d174c/*http://latimesblogs.latimes.com/technology/2010/11/bill-clinton-bans-twitter-…” rel=”nofollow”>picked up the story Thursday. Here’s where there was a bit of a mix-up. A Clinton spokesperson explained to The Cutline that the event host and PR company were told that the speech would be closed press, and they took that to mean that attendees were prohibited from tweeting, live-blogging or posting on social media sites. However, that’s not the case. Although the event remains technically closed for traditional media, attendees will not be stopped from using devices for tweeting, live-blogging, posting on social media sites (or maybe just texting their friends). So, presumably, someone could publish a blog post on a BlackBerry or write up a story based on a series of tweets or Facebook updates from the event. But traditional reporters looking for a press riser or other media setup will be out of luck, since it’s technically closed press.